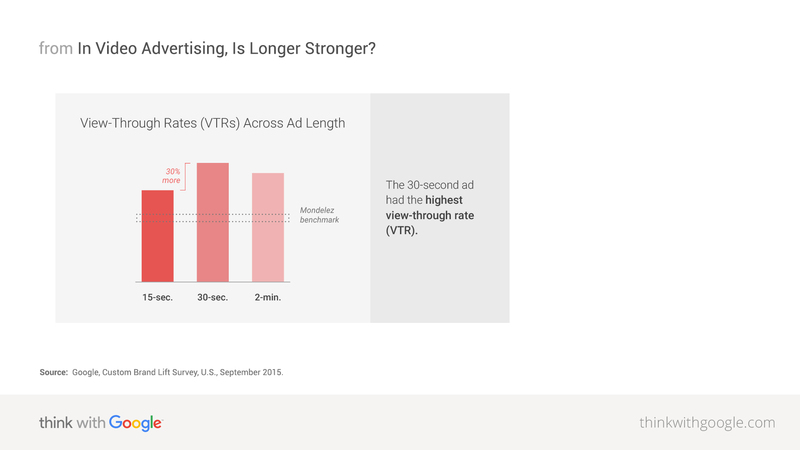 We tested three cuts of varying length using TrueView, YouTube's skippable ad format. 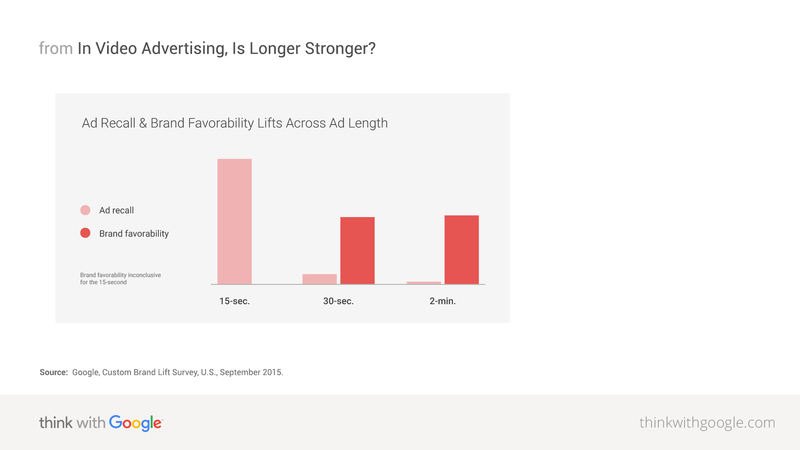 Then we measured how people responded to the ads in two critical ways: what people chose to watch (whether they watched 15 seconds, 30 seconds, or more; how long they watched the longer cuts) and how that impacted the brand (ad recall and brand favourability) via a Brand Lift study. All three ads celebrate National Hispanic Heritage Month in the US and feature members of the Gomez family, focusing on their experience as immigrants in America and their love of family. Each ad has a different balance of story, product, and brand. The 15-second ad was the only one to drive significant ad recall across all three cuts. For brands with a focus on awareness, the short format can be both effective and efficient. Shorter formats can raise awareness, keep the brand top of mind, and create signals that drive important behaviours such as search. But it's worth pondering the gap in performance between ad recall and favourability. Is a knockout performance in ad recall important for brands if it doesn't also impact brand favourability? Make sure what you're measuring is connected to your business goal, and don't assume that good performance in one area—like recall—is helping you in others. Ground decisions about length in your strategy; people will watch (and be persuaded by) longer stories. The brand did not appear in any form until the 1:17 mark—meaning that viewers who skipped before that point had no chance to connect what they were watching to Honey Maid. To maximise the connection to the brand, find ways to create that connection as the story unfolds. But don't just pop your logo up. Our research about creative choices shows that this reduces the view-through rate. Instead, create the story in a way that weaves the brand throughout.